I just finished a webinar called "Nonprofit Writing Stinks: Bring Your Writing Back to Life" for our webinar series All-Access Pass Holders. The recording will be available later tonight on the Pass Holders Dashboard if you missed it. 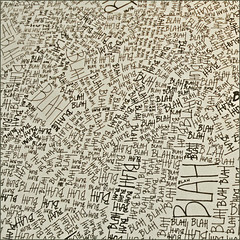 Cutting back on the Blah, Blah, Blahs was a big point of discussion. When I think about the problems I see with nonprofit writing (especially online), one of the biggest is that the content is just too long. Emails with thousands of words. Web pages that require way too much scrolling. You know what I mean, and maybe you've even written it. Here are eight tips for editing your first drafts when they are too long -- and too full of the blah blah blahs. 3. Focus on what you want from the reader. Are you expecting the reader to take a particular action based on your newsletter article or whatever it is you are writing? If so, focus your draft around that. What do you want them to do? Why should they do it? How should they do it? Cut everything else that doesn’t contribute to moving that reader to action. 4. Watch for tangents. It’s easy to stray from the main point. Watch for tangents and babbling streams of consciousness. Turn those sections of your draft into separate articles if there is something worth keeping. 5. Cut the the wordy phrases, redundancies, cliches, etc. Shorter is better. Cut out all the words that don’t contribute meaning. 6. Chunk it. Think about what parts are important, but could live elsewhere. Maybe you can cut out a few paragraphs from the email and link to a web page. Or maybe you can break that long web page into three different web pages and link them together. 7. Do Parts 1 and 2. Think about whether you have enough content to communicate about the topic twice. Instead of one really long email, maybe you can do a Part I and a Part II a couple of days apart. 8. Read it out loud, then cut any parts you read quickly or skipped over. If you find yourself zooming through sections when you read something out loud, it likely means that section isn’t that important and can be edited out. This article appeared in the January 26, 2012 edition of our weekly Nonprofit Marketing Tips e-newsletter. We hope you'll subscribe!